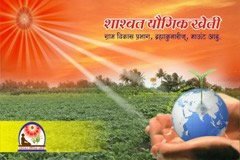 Farmers' Empowerment Divine Festival held at Palanpur on 7th February, 2016. This program was addressed by Minister of state for family welfare, Government of Gujarat Bro. Shankarbhai Choudhary, Executive Director of National Dairy Development Board, Bro. Sangram Chaudhary, local MLA Bro. Maheshbhai Patel, Vice Chairman of Banas Dairy Bro. Mavjibhai Desai, Brahma Kumaris Bihar zone incharge BK Rani Didi, National Co-ordinator of the Rural Development Wing BK Sarla, HQ. Co-ordinator of the Rural Development Wing, B.K.Raju and other eminent personalities. BK Bharti made an appealing welcome speech and stage was co-ordinated by BK Renuka. Over 15000 farmers participated in this program.